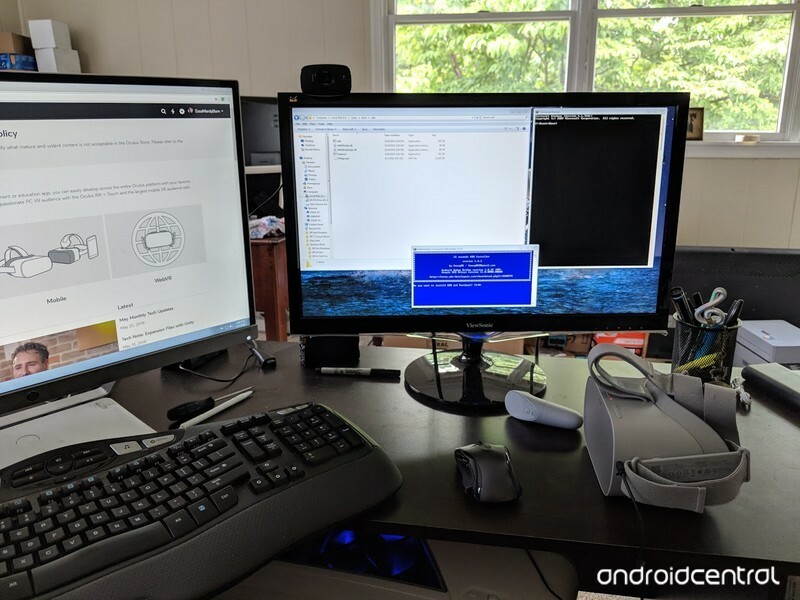 So what is sideloading? 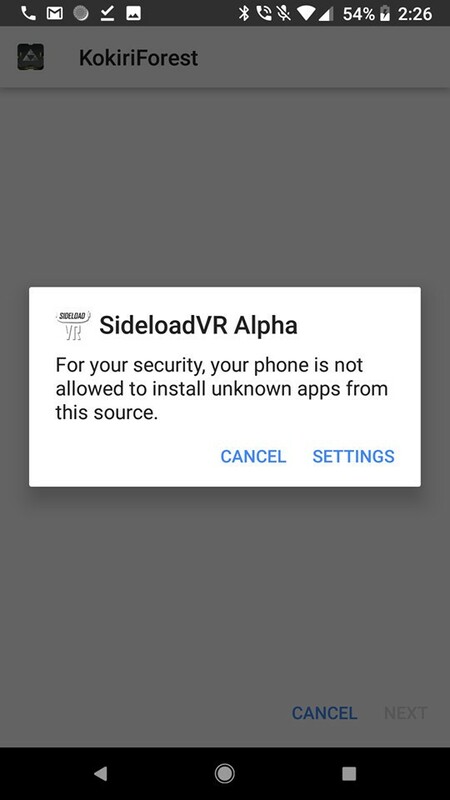 Long story short, sideloading will give you the access to games and apps that aren’t in Oculus Software as of yet. 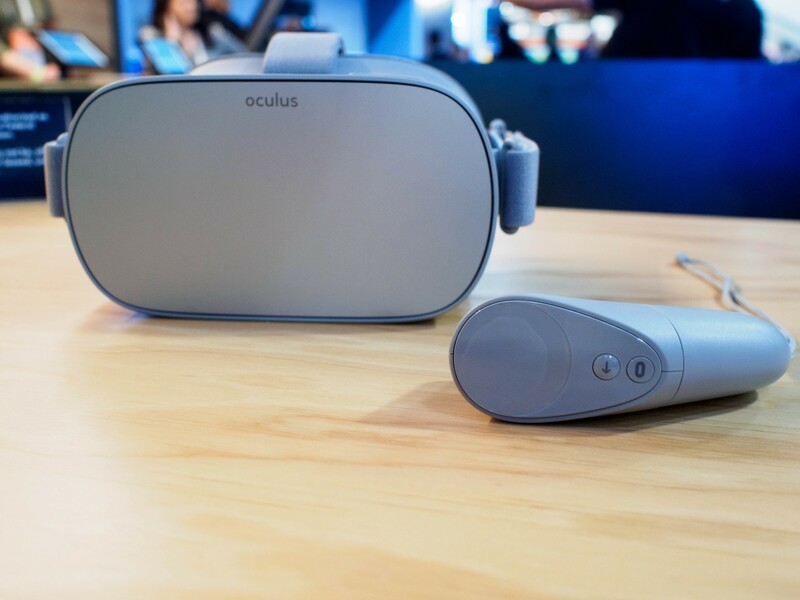 This means you’ll be able to get all of the cool things that aren’t available for you to download on the Oculus Store right from your headset. 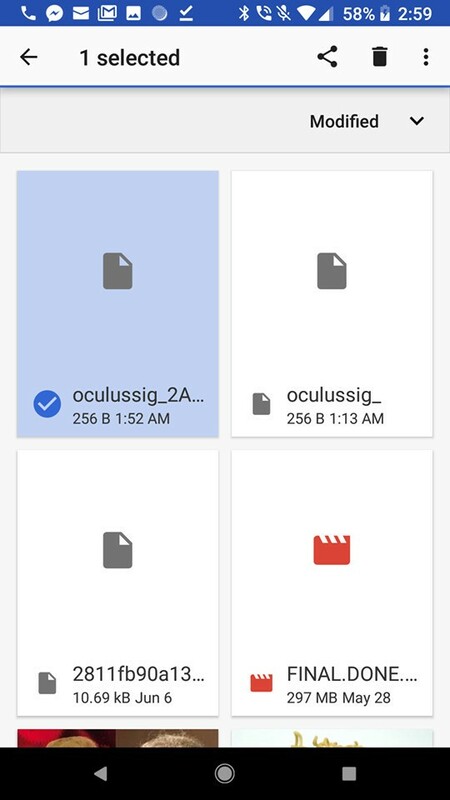 We’ll show you how to get the app file for these games and how to get them working on your Oculus Go. 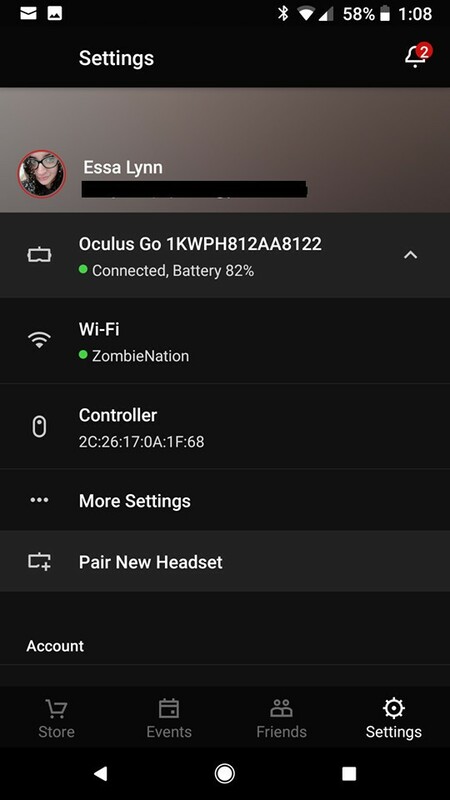 The first two things you’ll need to do to get your Oculus Go ready to sideload apps is creating your developer account and turn the developer mode on in your headset. It doesn’t matter what you name the organization for your developer account. 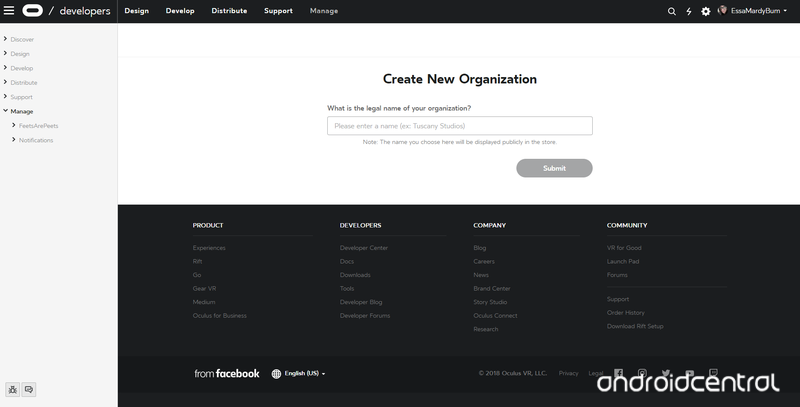 Create a name for your “Organization”. Read over the “Developer Non-Disclosure Agreement”. 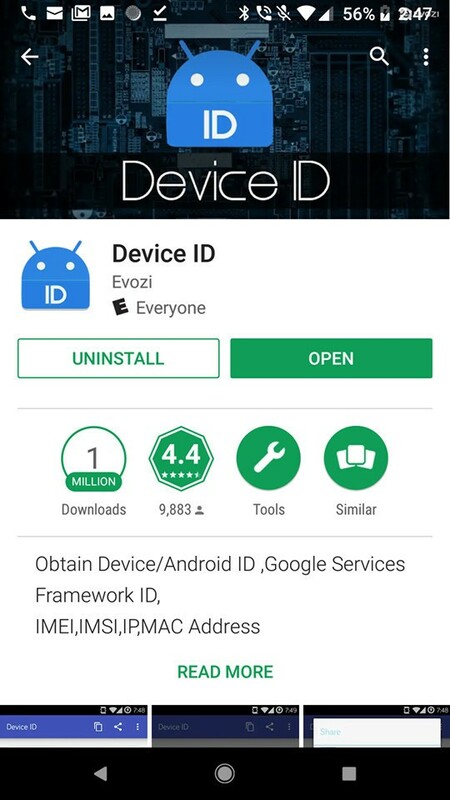 The first thing you are going to need is your phones device ID. This is not your phones serial number so it won’t be in the information from your settings. To find this information do the following. This app contains games and apps, uploaded by developers, for you to test out. 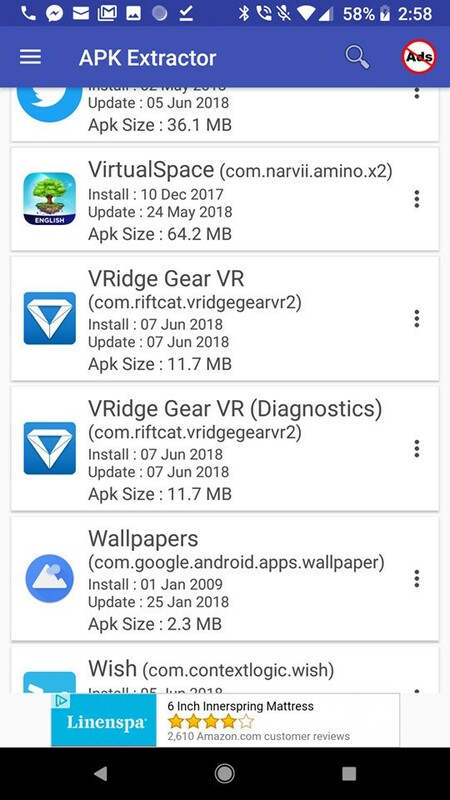 These are made for the Gear VR but so were most of the games there already for you to download to your Oculus Go. You might encounter a few that are not compatible, but you’ll also find some that work just fine. Follow the setup. 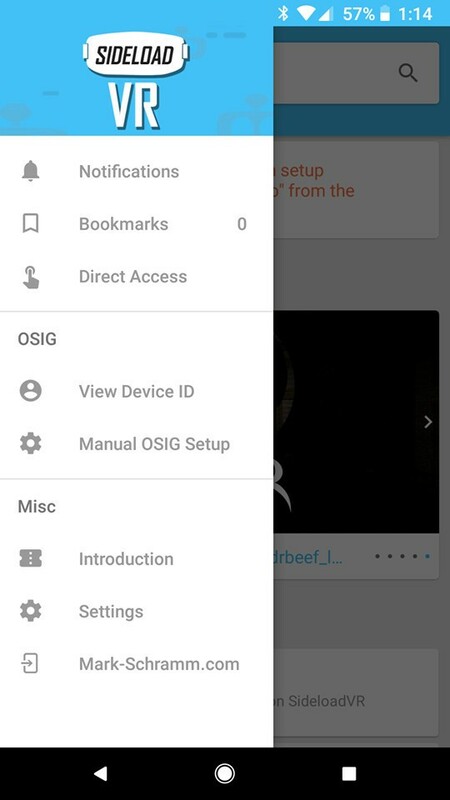 If you hit skip you can find the setup options by selecting the hamburger menu button on the top left and press “Manual OSIG Setup” from the list. 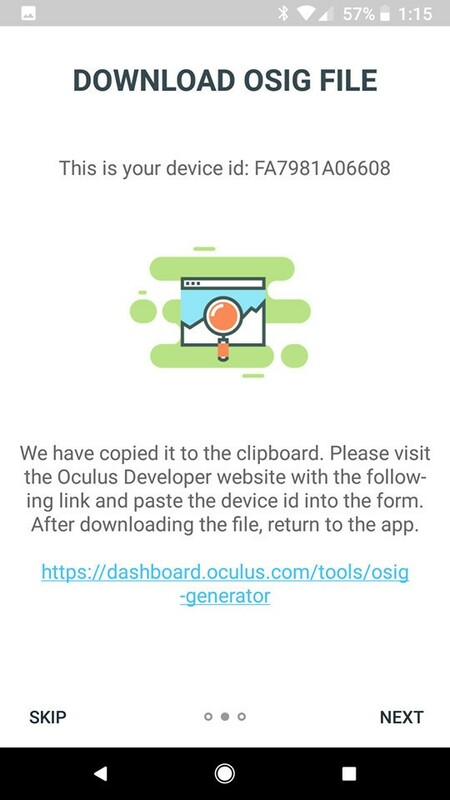 One of the first steps it will have you do is go to the Oculus Website to download a file, this is where your Android Device ID comes in handy. Don’t close the app, leave it running in the background while you do the next step. In order to get the download, you will need to input that Device ID on the top of the page (where requested) and press “Download File”. Alright, now that you’re manually set up for Slideload VR to run it’s time to move onto the next step. If you are using a phone that is not a Samsung Galaxy Note 4, any S6 variant, S7 variant or Note 7 there will be a few extra steps for you. If you are using one of those phones, skip over this small section of instructions and move on to how to use your APK extractor. Open the folder containing your Phones storage on your computer. If you don’t see any folders make sure “MTP” is selected under your developer options on your phone. This will be located in a section called “Select USB configuration”. 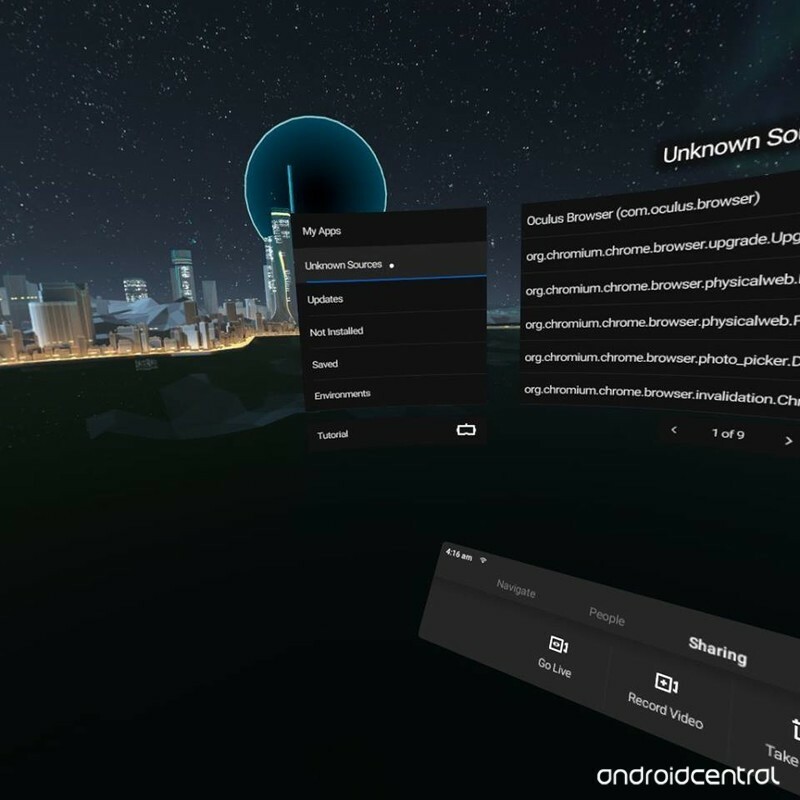 Now that everyone is up to speed we’re gonna show you how to get the apps you wanna play working with your Oculus Go. 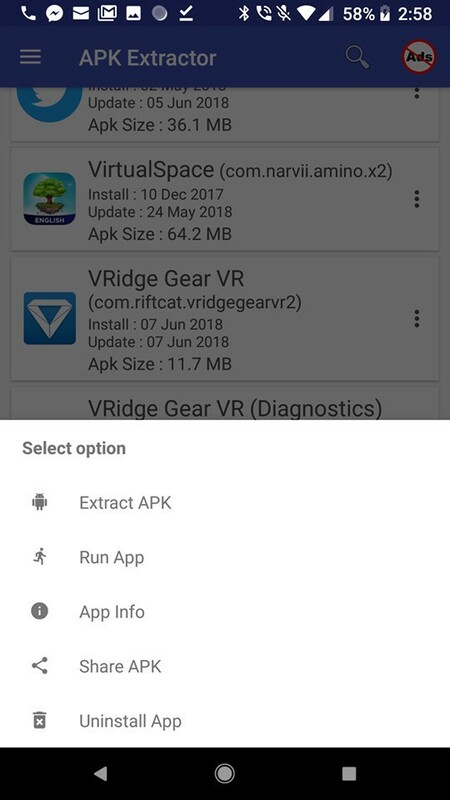 The first thing you want to do is download APK Extractor – Creator to your phone. Once you have the app selected that you want to hit “Download app” on the bottom of the information page. A pop-up will appear asking you to confirm the download as well as giving you contact information for downloads that aren’t working. Select “Continue”. 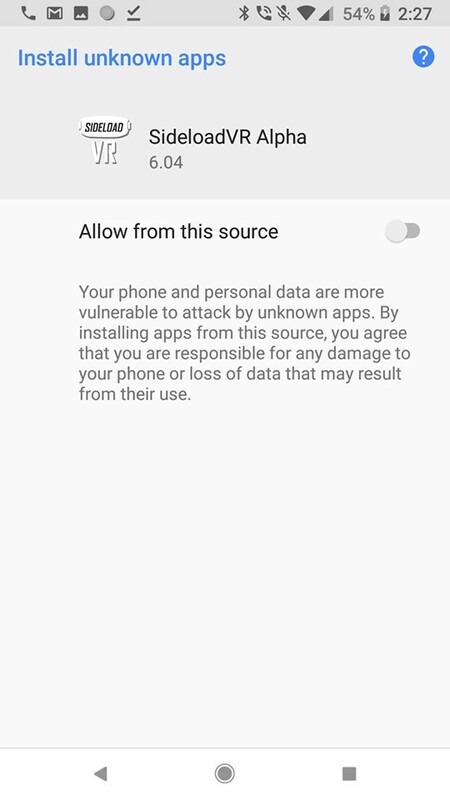 If you receive an error stating “For your security, your phone is not allowed to install unknown apps from this source” hit the settings button from the pop-up. 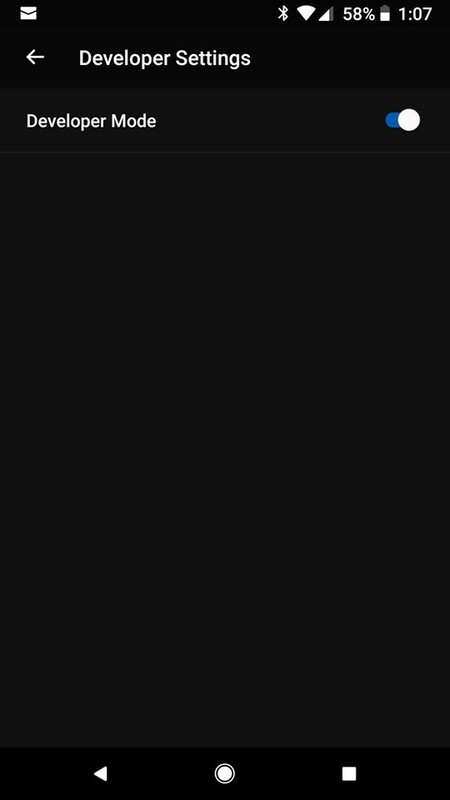 Now select “Allow from this source” and start the download process over again. Find the app you just downloaded on the list. 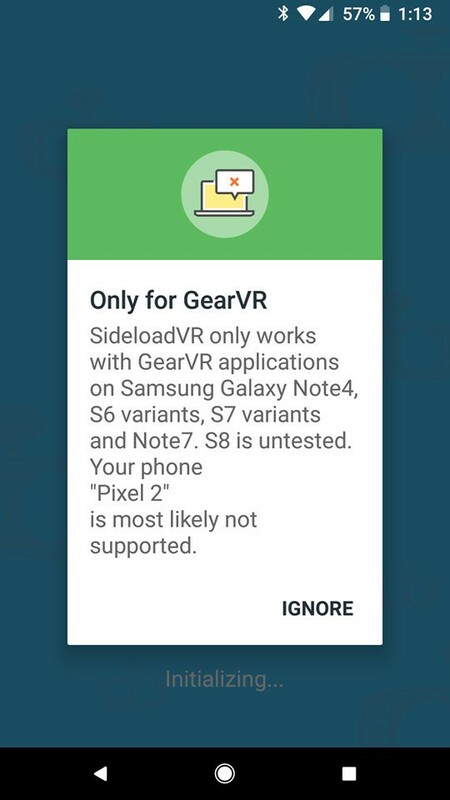 In this case, it will appear as “VRidge Gear VR”. 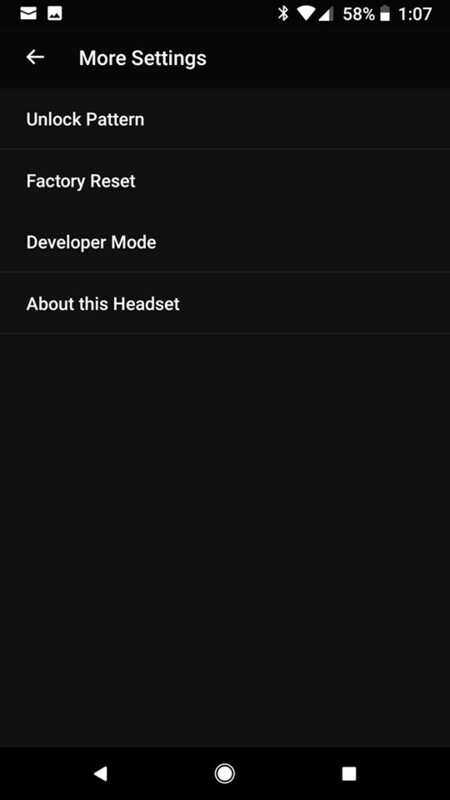 Select the three-dot menu option next to the name and press “Extract APK”. Once received in your e-mail save it to your desktop so it’s easy to find and move on to how to work the ABD installer. Type “Y” into the box and press enter. Now it asks if you want to install the driver. Type “Y” and hit enter. Find where ADB was installed to your computer. For most people, it will go right to your (C:) Local Disk. If not, check the “Users” folder under the local disk and it will be right there in a folder labeled “adb”. If you want to make the file easier to find later, go ahead and rename it to whatever you like. I renamed mine to “VRidge”. 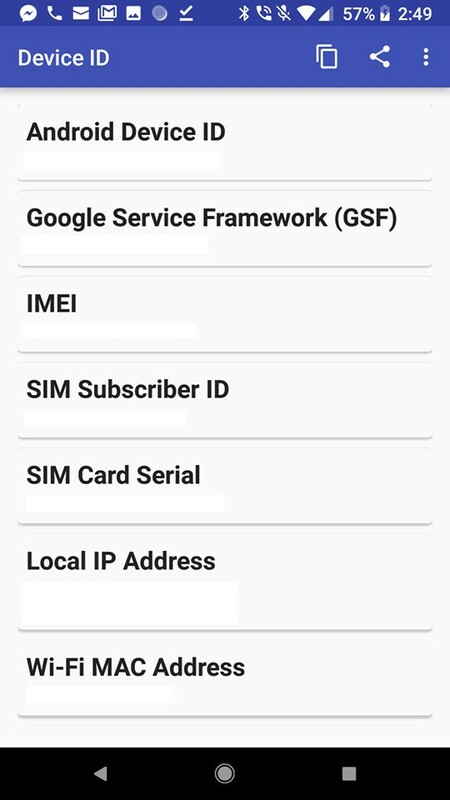 Type in “adb devices” and press enter. 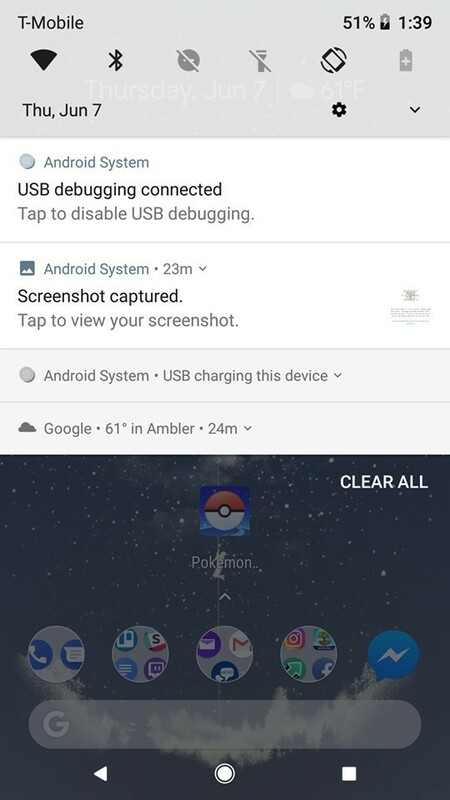 Run the same “adb devices” prompt once more. Right-click on the name on your address folder (shown above) and select “copy address as text”. 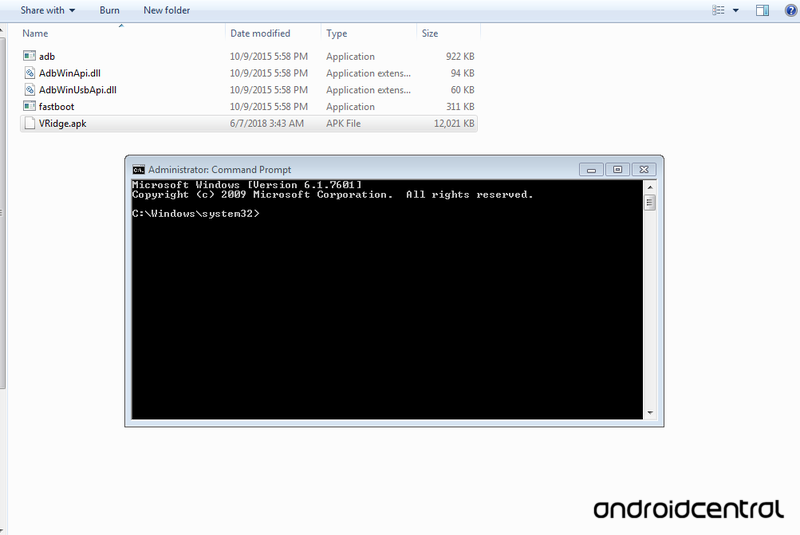 In the new prompt that appears type in “adb install [NAME].apk”. The [NAME] should be whatever you named your file. In my case I typed in “adb insall VRidge.apk” and press enter. From the main menu at the bottom of your screen select the “Navigation” menu. Go to the “Unknown Sources” section on the left-hand side (pictured above).